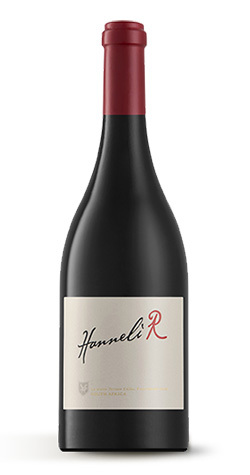 This complex Syrah-based blend is the ideal partner to red meat in most of its forms. With its well-structured tannins, this wine beautifully complements the intensity of hard cheese. A number of factors resulted in a lower than average yield in most of the areas from which the grapes originate. Although it was reasonably cool during the growing season, some areas experienced drought conditions. Areas that did not have irrigation water available during the late season experienced further losses later. The season will be remembered especially because of the heat waves in late January – during three consecutive days the temperature rose above 40 degrees Celsius in the Boland, followed, a few days later, by two more days of above 40 degrees. The Shiraz vineyards of Elim are trellised and grow in shale with a layer of “koffieklip” (coffee stone). This, combined with the cool climate, produces wines with intense perfume flavours and a minerally palate. The Franschhoek vineyards grow in deep, sandy soil of weathered granite and sandstone and produce elegant wines with a creamy texture. Bot River’s Grenache vineyards grow in more shallow, denser shale and produce wines with a high tannin content and a dark colour. Because the grapes originate from diverse terroirs, the wines have depth and complexity. The grape varieties in the blend were harvested and sorted separately and the wines were fermented separately and matured in 300-litre oak barrels. After 40 months’ maturation, the wines were blended and then bottled during October 2016. Only 3 300 bottles were produced. Situated in the beautiful Franschhoek Valley in South Africa’s Cape winelands, La Motte is home to the finest wines, recognised internationally for exceptional quality. With its picturesque setting, traditional cuisine and historic charm, La Motte is an enchanting choice for those who appreciate the finer things in life. La Motte was acquired in 1970 by the late Dr. Anton Rupert, an internationally respected industrialist who established a global business empire, and was held in high regard as a committed conservationist. Dr. Rupert and his art-devoted wife, Huberte, also played an immense role in the preservation of art. As much as there has been a dedication to producing top quality wine at La Motte since its acquisition by Dr. Rupert in 1970, the estate has also shown a distinct responsibility towards uplifting and empowering its people.